As a freelance writer, you are constantly submitting query letters to editors you’ve never met. What if there was a place to go to find out exactly what the editors want? As it turns out, there is! That's what writers guidelines are for. Writer's guidelines lay out in detail exactly what the editor is looking for. They give a set of rules that have been painstakingly compiled by the publisher or editor. The guidelines are meant to make their life easier and reading them improves your chances of being published. Writer's guidelines explain exactly what sort of articles the editor expects for his magazine. This saves the editor from suffering through off-target queries that waste time and drive them that little bit closer to editor’s purgatory. 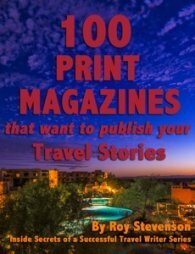 It's standard practice for freelance travel writers to review the guidelines for every magazine you query. Ideally you'll do this before you send your query letter. Although writers guidelines are straightforward, every magazine is different. Early on you'll spend a lot of time reading the guidelines. To recover some of the time you spend studying the guidelines, it's important to know how to use them to your advantage. And that's what the rest of this article is about. So read on to learn how to make the most of them. Is it necessary to read the writer's guidelines before you send a query to an editor? The short answer is: YES! It’s wise to pay attention the writers guidelines. If it's clear you didn't bother to read the guidelines, the editor will simply delete your query. Think about it from the editor's point of view. If you're too lazy to read the guidelines before sending an article, you’re probably too lazy to meet your deadlines or write a good article. Why should he bother responding to your query? I know of one freelance writer who was suffering an abysmal acceptance rate. Once she started studying the writers guidelines before sending out her queries, she saw an improvement in her publication rate. What can you do to to ensure the editor KNOWS you've read the writer's guidelines? To boost the chances of having my work accepted for publication, I mention their writer’s guidelines in my query letter. I'm quite blunt about it. “Your Writer’s Guidelines state that you prefer articles 1500 words in length or shorter, and the story I’m proposing will be 1200-1300 words”. Simple? Yes. This simple statement lets the editor know you've read his guidelines. It doesn't take long to find and review the writer's guidelines for a particular magazine. Don't over-analyze them. Just read them quickly for the pertinent information. Even taking this small step significantly improves the chances of your story being accepted for publication. You can determine whether it’s worth your while pitching your stories to a magazine by finding out if the publication pays it's writers. Reading the guidelines before spending any time sending a query can save you hours of time and heartbreak. The writers guidelines will tell you whether or not the publication pays their writers. If your read through the guidelines and payment isn't mentioned - be wary! Failure to mention the pay scale usually indicates that they do not pay their writers. What, you say? Some magazines don’t pay for articles? You’ll be surprised at how many magazines don’t pay their writers! Always check to find out the pay scale before you send a query. If you encounter a magazine that doesn’t pay, you’ll need to make a decision about whether or not you want to "donate" an article for the byline, or simply move on. 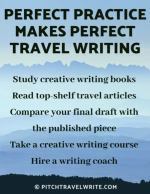 This depends largely on where you are in your progression as a writer. Seasoned writers typically ignore magazines that do not pay and target the ones that pay top dollar. Whether or not to write an article for free is a decision you’ll have to make for yourself - but that's a topic for a different article. 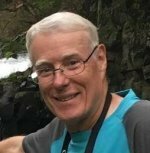 Here's a link to my article about writing for free and when you might consider doing it, and also a link to a follow-up article on the same topic, writing for free. 1. Who to send your query to. 2. How to submit queries and articles. Most magazines these days accept queries via email, but there are still some that want your query sent through snail mail. 3. The preferred article length for their publication. 4. The theme for each issue or topics they’re interested in publishing. Sometimes there is a very distinct schedule with deadlines for queries on certain topics. The guidelines will lay these out formally if it's important for the publication. 5. The style and pace they prefer for their articles. They will spell out first person, third person, edgy, short, upbeat, fast-paced, detailed, humorous, use of quotes, and so on. It helps to read a few articles in the magazine if you're unsure about their definitions. 6. The format of your manuscript. Sometimes you'll see requirements like font type, size, double-spaced, whether they require reference lists, and similar types of requirements. 7. How much they pay for articles and columns. Magazines pay in mysterious ways. It could be per word, by the page, by a flat rate for each article, or by other strange and convoluted formulas. It's their publication. They make the rules - be sure to read them. 8. When they pay for published articles. Some magazines pay upon receipt of story. Others pay on publication or 60 days after publication. This affects your cash flow so be sure to read it carefully so you know when you can expect to be paid. 9. The lead time for articles. For example, if you are submitting a winter themed story, the guidelines will tell you when you need to submit your article. 10. 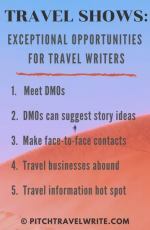 Whether they require photos to accompany your travel story. Some publications won't accept your article without high resolution photos. 11. Whether or not they pay for photographs. Editors might require photos for travel stories, but some don't pay for the photos, while others do. Other editors prefer to supply their own photos. 12. What rights the magazine assumes. This is important if you think you might want to resell your article later. 13. Whether you should query your article first, or submit your article without querying. This is one item where I stray from the guidelines, because I want to know if the editor is interested in my story idea before I actually write the article. My philosophy is to ALWAYS query first! There used to be only one place where people found writer's guidelines - and that was in reference books like Writer's Market. Thanks to the internet, you will often find them posted on the magazine’s website. Look on their website under captions such as “Write for Us”, “Writer’s Guidelines”, “Contributors Guidelines”, “Submissions Guidelines”, “Tips for Writers”, “Contact Us”, or something similar. Occasionally a magazine insists that you write to them and request their writers guidelines. It doesn't happen often, but sometimes you'll encounter one of these dinosaurs. 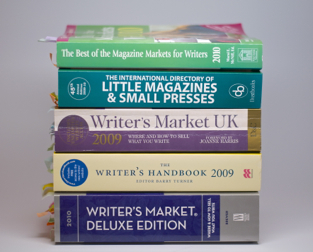 I recommend you spend a little more for the Deluxe Edition for its online section, Writersmarket.com. The online section has over 6,000 listings, and is updated daily. BE WARNED: None of the publications listed above have every listing you might be looking for. You still may have to go through the process of locating the writers guidelines elsewhere. In fact, I use three sources for all of my sales leads, including the publications mentioned here. Help! I can’t find any guidelines for this publication! What if you can't find guidelines for a particular publication? It happens. In fact, you’ll often encounter magazines that don’t list guidelines for writers. My experience has been that there are far more magazines without guidelines than with them! What do you do when you’re querying magazines without anything for guidance? You’ll have to fly blind. My advice is to keep your queries middle-of-the-road and hope for the best. Take a look through an issue of the magazine. Then try writing your query letter in a similar tone to what you saw in the magazine.